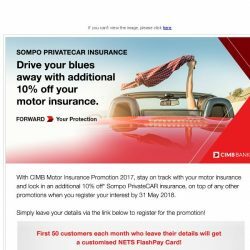 [CIMB] Register with us to enjoy 10% off your next Sompo PrivateCAR insurance! 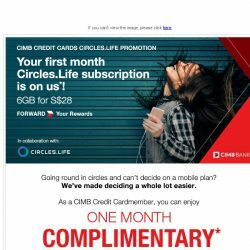 [CIMB] Enjoy up to 40% off on dining, hotels and more when you travel to Malaysia! 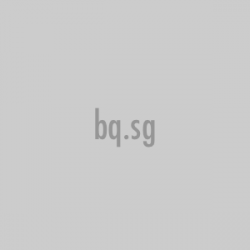 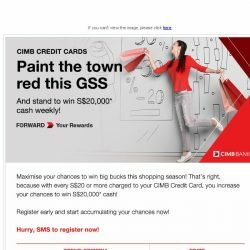 [CIMB] Shop & win S$20,000 cash weekly with CIMB Credit Cards! 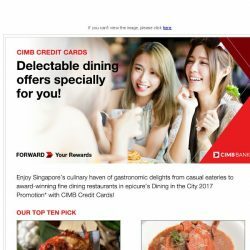 [CIMB] Enjoy up to 30% off and more at Singapore’s favourite dining spots!